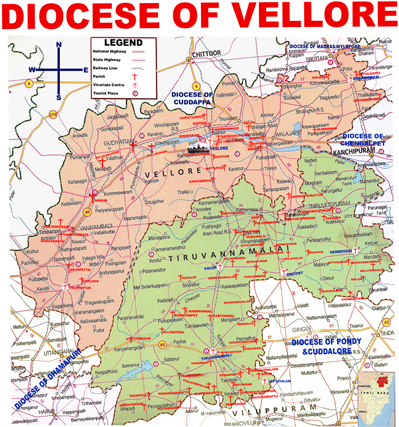 The Diocese of Vellore was started by Salesians in the year 1952 carving out a portion from the Archdiocese of Madras-Mylapore. 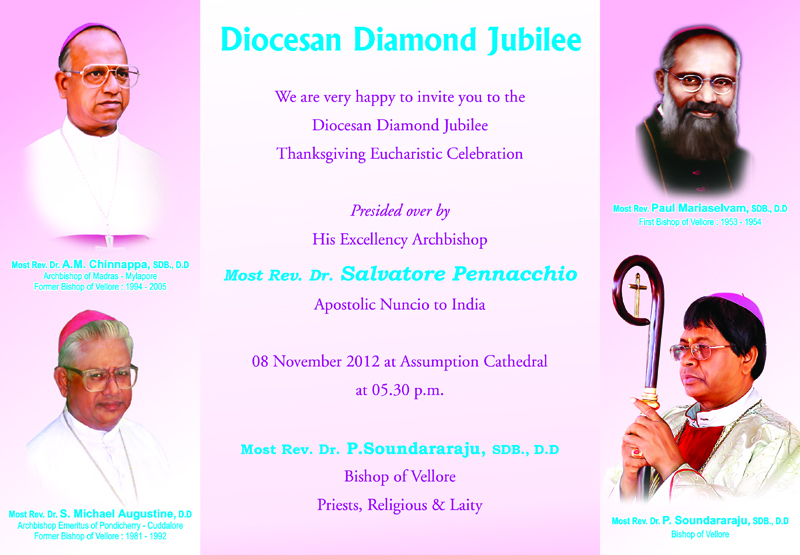 Further in 1969, few parishes from the Archdiocese of Pondicherry-Cuddalore were attached to this Diocese. It comprises of two civil districts namely Vellore and Tiruvannamalai. 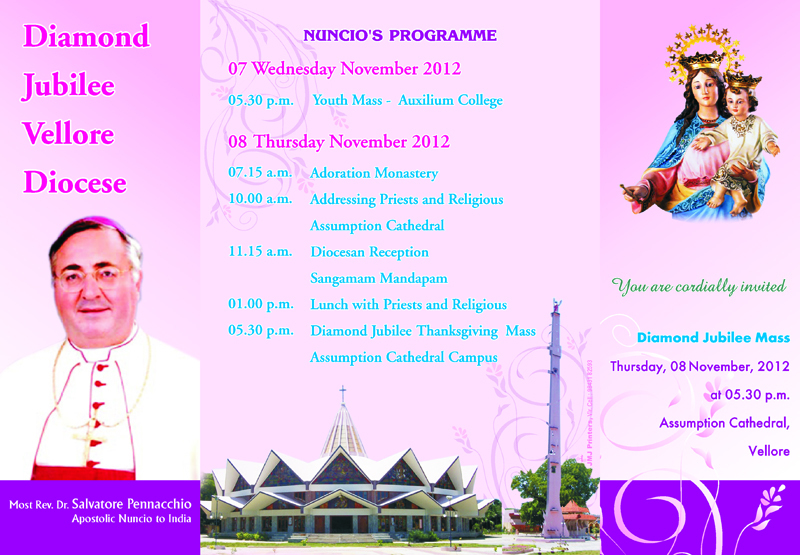 There are 84 parishes having Catholic population of 1, 50,000. Most Rev. 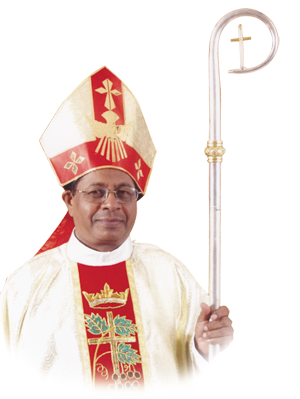 Dr. Soundararaju Periyanayagam, SDB.